Week #2 : Squad – Communicate. Coordinate. Conquer. It’s time to bring you the latest news on the Squad Closed Pre-Alpha. While some of us are recovering from the awesomeness that was the opening weekend to the Squad Closed Pre-Alpha, we’re still certainly forging ahead and preparing for the next week of gaming and play-testing. The next session will begin Saturday 6AM GMT / Friday 11PM PST, and run for 72 hours until Tuesday 6AM GMT / Monday 11PM PST. Without any further ado, here’s what we have in store for the coming weekend. You can now go prone. This is the first iteration of this feature so it is subject to a lot more development. Kills, Deaths, Flag captures, and many more events are now scored. Kill score is only updated on your scoreboard after you die, so you can’t confirm kills through score updates on the scoreboard. 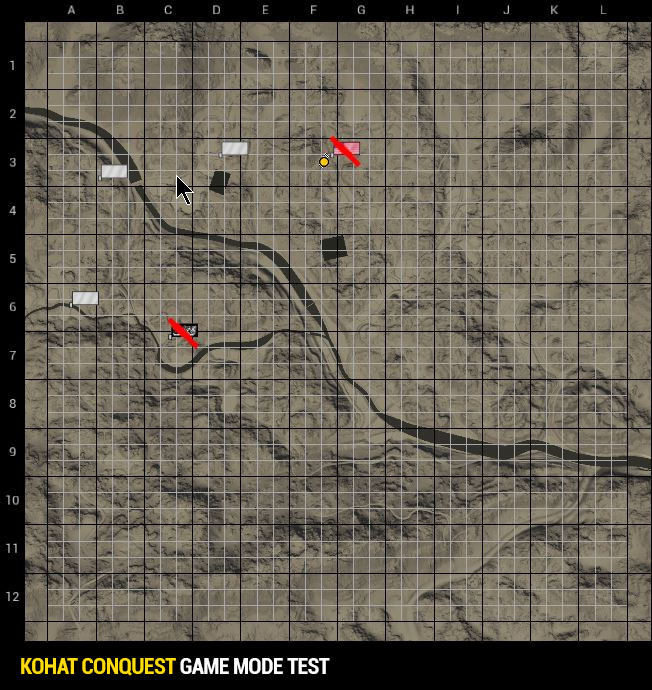 This weekend we are testing an experimental Conquest gamemode on Kohat. It features 3 flags with custom ticket bleed rules over a completely unexplored area of Kohat. With this test map, we are also testing the back-end systems for supporting different gamemode types. While we have no plans to release with a conquest gamemode, this helps us bug fix our systems as well as play around with different styles of gameplay. We are very curious to hear your feedback from this gamemode. Fixed ping being added together for the team and squad in the scoreboard. Fixed ping being incredibly incorrect. Increased the max length of a player name displayed ingame. Added a notification to the killing player (and admins) when a player is teamkilled. Fixed an issue where bullets would collide with the gun and fail to fire. Fixed a server performance issue related to bullet creation. Crouch is now taken into account with stamina regeneration. Updated the exclusion zone fail reason to be more clear. Added Un-Cappable flags with a unique icon. Added a new flag capture widget for new flags. Added a new healing HUD icon that does not move off screen while a person is being healed. Added an Ironsights M4 Rifleman Kit Role for the US Army. We would like to also showcase the absolutely beautiful cinematography in this video done by backer Nostave.